Becoming a better Adobe Acrobat user with these Acrobat tips will definitely save you time. But they can also save you money because they will save your designer time and extra work when you make AAs (compared with other methods of submitting edits). Almost any program has the ability to save a document as a PDF. PDF is a cross-platform format (meaning just about anyone can open it). It enables the client to convey edits where they appear in the layout, making it an extremely efficient method for the graphic designer to receive and then make the revisions. Acrobat offers virtual editing tools similar to those found on your desk. 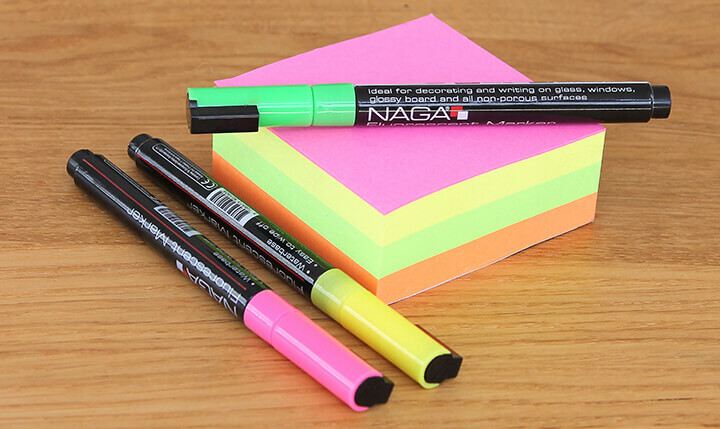 For example, you can make comments via a sticky note, cross out text with a pencil, highlight text, etc. The designer is able to copy new or replacement text from the PDF and paste it into the design document, as opposed to having to retype the text. It shows special characters or symbols that may not convey in a Word document if the designer does not have the same font as the author or if the author did not correctly key the characters or symbols. Therefore, the PDF serves as a supplemental visual reference for the designer when working from the Word document. As we always say, when you help your designer, you help yourself. Follow these 13 time- and money-saving Acrobat tips and tricks to become a more proficient Acrobat user. Please note: these tips assume no document security settings have been set by the PDF creator that could prevent you from performing these actions. Download, instead of open, a PDF. If you click on a link to view a PDF and it opens in the browser, you can right-click the link and choose Save Target/Link As to force it to download to your computer. Copy and paste live text. Live text is text that has not been converted into an image of text. Use the Selection tool (the one with the cursor and an arrow), then select text on the page. To select all text on a page, hit Edit > Select All, or Ctrl+A (PC) or Cmd+A (Mac). Whole Word Only finds exact occurrences of the word or phrase you enter in the text box. Case Sensitive finds only words that contain the same capitalization you entered. Include Bookmarks or Include Comments searches those areas of the PDF as well. Previous and Next search backwards and forwards, respectively, through the document. Change your page view. Would you rather view pages two-up or as single pages? You can change this setting by going to View > Page Display and selecting an option. Single Page Display allows you to use the up and down arrows, page up or page down keys, or the scroll on your mouse (if you have one) to navigate the document, allowing you to quickly move through the document (a “macro” level of navigation). Enable Scrolling, on the other hand, will move only a small step within the page with the up and down arrows. This can be better for line-by-line reviewing (a more “micro” level of navigation). Zoom. You may know you can zoom in and out with the + and – signs at the top of the toolbar. But did you know that hitting Ctrl+0 (PC) or Cmd+0 (Mac) fits the page in the window or that Ctrl+1 (PC) or Cmd+1 (Mac) shows the page at actual size? Set your zoom preference. Acrobat Reader > Preferences allows you to set many of these options. However, you may receive a document that has a set view or zoom setting that will not abide by your preferences. Check spelling. Always check your spelling (F7), especially when adding replacement text in a proof. Easily navigate long documents. Page thumbnails and bookmarks make navigating long documents easier because you can click to go to another page anywhere in the document. View pages at a glance. View > Show/Hide > Navigation Panes > Page Thumbnails displays an icon for each page in the document. You can stretch the pane in order to see more thumbnails at a time. Use bookmarks (if available). When creating publications for online distribution, smart designers make use of bookmarks—and ones that automatically appear in the lefthand sidebar when you open the document (otherwise, how would you know they are there?). Bookmarks act as an always-available, clickable table of contents. Check the page size. Hovering in the lower lefthand corner of the document window reveals the page size. This comes in handy when reviewing design proofs because it allows you to check the page dimensions. Hide the toolbar. If you’re a power user (relying mostly on keyboard shortcuts instead of clicking on icons to perform an action such as saving or printing), you may opt to hide the toolbar (View > Show/Hide > Toolbar Items > Hide Toolbars). This will give you more screen space. Because it’s also able to be toggled on and off with a quick hit of the F8 key (on PC and Mac), it’s easy to temporarily do so and then show the toolbar again later. Display your name. Identity, one of the preferences, stores your name, title, e-mail address, organization, etc. Acrobat displays the name from this area when you review or add comments to a document. It is especially important that the name be filled out when multiple people review or comment on a document. Otherwise, it will display generic information and others will not be able to determine who made those comments. Find out the fonts used. Going to File > Document Properties > Fonts displays a list of fonts used in the document. However, this only applies to live text, not text that has been converted to outlines or made part of an image. Insert your comments directly on the document by using the tools on the Commenting toolbar, and/or the tools available under the Comment & Markup button. After you have finished making your comments, click the Send Comments button on the Commenting toolbar to e-mail your comments to the requester. Click on hyperlinks. If the document was created with interactivity, it will have active hyperlinks that you can click on and then open in a browser. This is very helpful (not that I’m surprised) – thank you!